Today it’s hard to imagine our life without smartphones. These devices give us infinite capabilities 24/7. Therefore, mobile app market becomes more and more attractive and effective advertising channel. Owners of different business establishments develop websites and mobile apps for IOS and Android to attract new customers and increase profit. A lot of automobile sales centers and car shops develop mobile apps to provide their customers with modern and convenient service. Mobile car service is a very useful thing for everyone. Statistics say that 81% of auto shoppers used their smartphones to explore the market when were choosing a car. Moreover, 63% of customers used smartphones being at dealership at the moment. According to the research mobile auto shoppers are 72% more likely to visit some centers of a dealer than shoppers who don’t use a smartphone. Advertising plays a key role in decision-making. For example, 33% of shoppers are lured by competitors thanks to mobile advertisement. With the help of auto dealer apps it is possible to get higher profits. Every driver can stay updated on the latest news from the world of autoindustry. A user can search, compare, pick used car in order to buy them. An application enables a user to find a car for sale in the nearest places according to the location. Detailed information about a car with clear photos for better viewing. It is possible to upload the photos right from the mobile phone to the application. After buying a car at official dealer a driver can get help through an app any time. As the number of car drivers is constantly growing the automotive apps have been created. They are very useful for drivers because they help them find their destination, the cheapest and the nearest petrol stations. Besides, nowadays with the help of smartphones it is possible to pacify children during the trip and diagnose problems. Auto dealer apps can even help you to find a good car if you are going to purchase a vehicle. You will easily find that car which satisfies all your demands and needs. 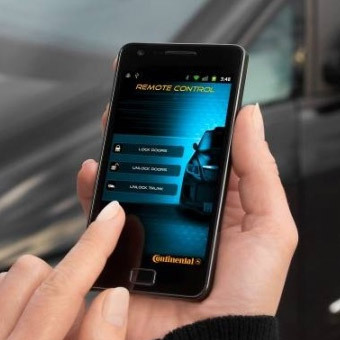 These applications can be very important during the trip, because they are able to protect the drivers from car accidents, bad drivers and extra spending. If you happen to have some problems on the road, the apps will be very beneficial for you. Every owner of the auto salon, car service station and customer service must have automotive applications in order to remain competitive and greatly increase profits. These apps are the best way to attract new clients and show regular ones loyalty and care. They can save a lot of their time, which is incredibly important nowadays. An app which helps you to know what price you will have to pay to repair your car. Also you can choose the cheapest or the nearest car service. This program can release you from calling many services. An automotive android app that allows you to know all the prices on gas. Moreover, with its help you can get driving directions. All this information will be shown in your smartphone. A very useful mobile programme which can protect you from bad drivers and insurance fraudsters. This navigation app will route you according to your destination. It even shows if there is law enforcement not far from you. This is not the full list of mobile automotive applications. There are a lot of others, which also can be useful for you. If you download them from Agilie, you will receive collaboration with skilful and experienced professionals. We will provide you with creative ideas and a clear scheme of work.